GuideStar USA, Inc. is an information service specializing in reporting on U.S. nonprofit companies.In 2016, its database provided information on 2.5 million organizations. It was one of the first central sources of information on U.S. nonprofits and is the world’s largest source of information about nonprofit organizations. GuideStar also serves to verify that a recipient organization is established and that donated funds go where the donor intended for individuals looking to give in the wake of disasters. In 2013, GuideStar announced major changes to its GuideStar Exchange program, which allows nonprofits to supplement the public information that is available from the IRS. GuideStar Nonprofit Profiles implemented three seals based on the information a nonprofit provides in its profile: Bronze, Silver, and Gold. 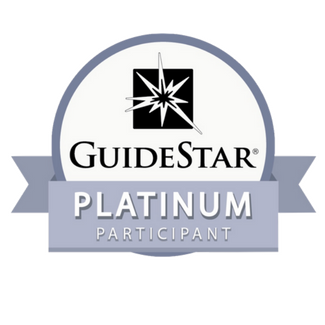 In 2016, a new seal that allowed nonprofits to share progress and results for their mission, GuideStar Platinum, was introduced. Did Sneha Karma Foundation pay to receive this award / recognition ? Every organization has is own criteria for providing ‘Awards’ and/or ‘Recognition’. Our Team of volunteers work with these organizations to provide them with the information they require, either on their website or make the information public on our website. We are proud of the word these organizations do (most of them are non-profits) and we are honored to receive the award / recognition from them.